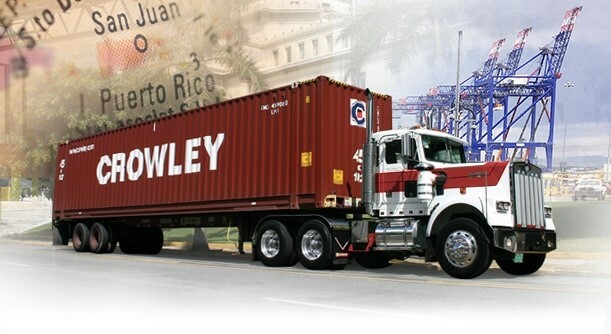 Crowley’s new seven-lane exit gate and terminal operating system (TOS) at its Isla Grande Terminal in San Juan, Puerto Rico, is already increasing the velocity of customers’ supply chains. Truckers are getting on and off the terminal faster and making more trips per day, and customers are getting their cargo that much sooner to get into the hands of consumers. In fact, our accelerated gate operations have already reduced gate-lane transaction times by 50 percent. Our new terminal operating system, which is being deployed in phases, is also designed to help efficiently manage marine terminal operations, including vessel, dock and yard planning. As a result, you can rest easy knowing that your cargo is in good hands with Crowley, and that it will be moved quicker and with greater efficiency through your supply chain to reach your customers faster.